Are you looking for low straight stair lift prices for a home located in the metro Atlanta area? Stair Lifts Atlanta provides a complimentary home evaluation in order to help you decide on the most efficient and cost effective lift solution for your home. 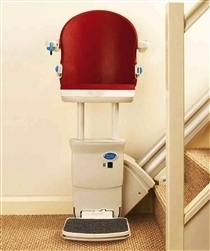 Stair lifts offer one of the best options to transport you or a loved one within your home. If your home is located in the 14 county metro Atlanta area, including Cherokee County, Gwinnett County, Fulton County, Coweta County, Cobb County, Hall County, Fulton County, Clayton County, Douglas County, Dekalb County, Forsyth County, Fayette County, Paulding County, Rockdale County, or Henry County; contact us and we will provide you with comprehensive information about straight stair lift prices. 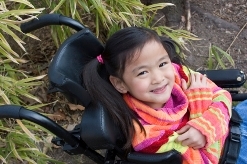 The Georgia certified stair lift installer has the expertise to help you select the right location and lift model to meet the accessibility needs of the individual with the accessibility challenge. Stair Lifts Atlanta can help you find the best straight stair lift prices in the 14 county metro Atlanta. These lift prices are competitive and reasonable, including the home assessment, ordering and supplying of the lift and rails, lift installation, and all permits and inspection fees. Not only do stair lifts have controls that are safe and easy-to-operate, but, they also make your whole house accessible. Stair lifts are more affordable than moving or adding an addition on to your home, and they provide the mobility challenged person independence at home. They make the experience of going up and down stairs quick and easy! If you live in any of these counties, including Cherokee County, Gwinnett County, Fulton County, Coweta County, Cobb County, Hall County, Fulton County, Clayton County, Douglas County, Dekalb County, Forsyth County, Fayette County, Paulding County, Rockdale County, and Henry County — contact Stair Lifts Atlanta through our web contact form (below) or by telephone to 770.880.3405 for stair lifts or other accessibility home modifications, today. This entry was posted in Atlanta Stair Lift Prices, Stair Lift Blog, The Atlanta Home Modifications and tagged Certified State of Georgia Stairlift installer, Competitive Straight Stair Lift Prices for Metro Atlanta, stair lift prices in the 14 county metro Atlanta, stairlift home assessments Atlanta. Bookmark the permalink.